Maintaining a college is no easy task. A whole of things are to be run to stay ahead of the race and meet the needs of the students. This means that there is a whole lot of planning that is to be made. One of the key areas that are to be planned when running a college is the money that is to be spent on it. 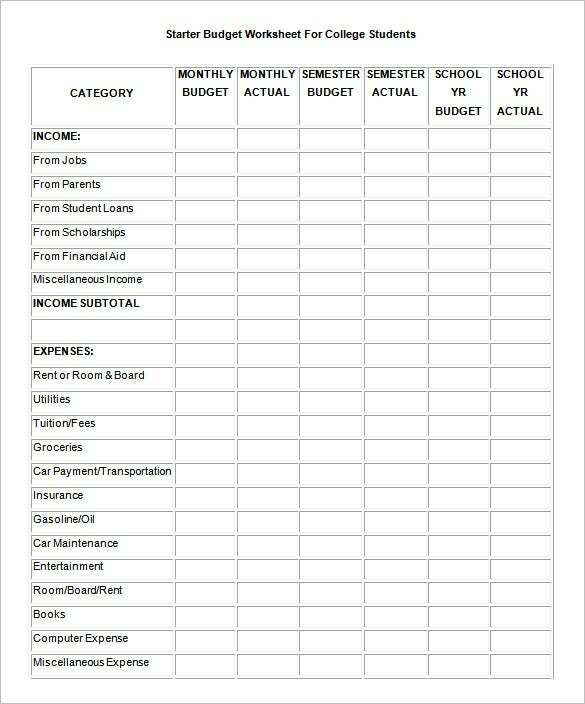 A free college student budget template is a plan that is made by colleges to list out all the expenses and income that will take place. 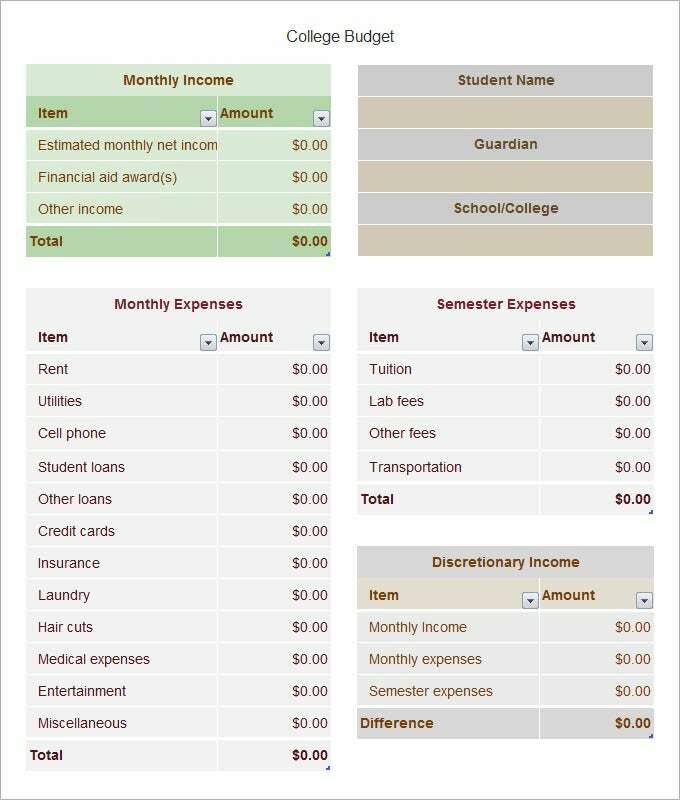 It is important for colleges to plan out their budget in advance so that things are in order. It enables you to keep a check on the inflow and outflow of money. Helps you in devising better planning strategy to meet your requirements. 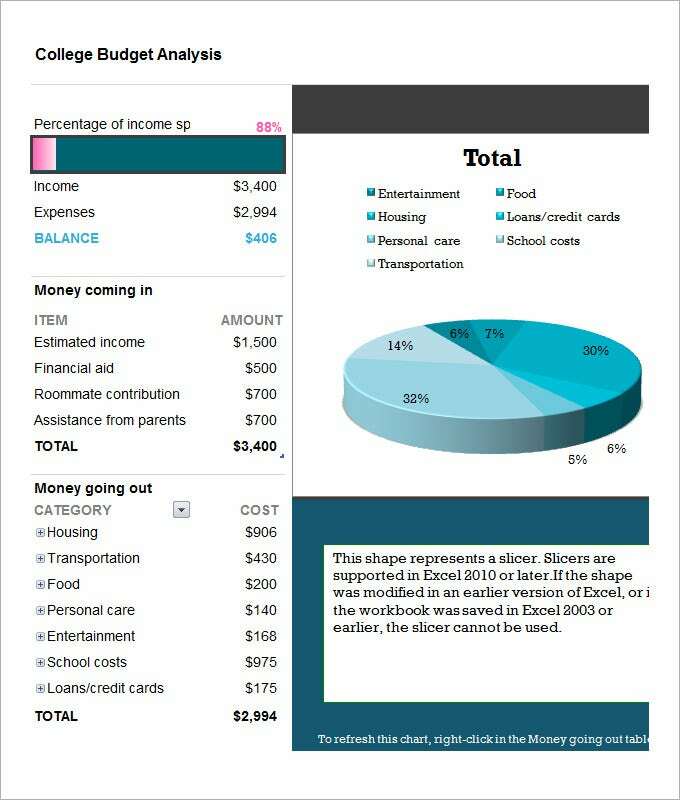 Gives you handy information about your remaining spendable income. Enable you to analyze your unnecessary expenditure. Helps you save for your future. If you have taken a loan it helps you to keep a check on your EMI payments and makes a note of timely payment. 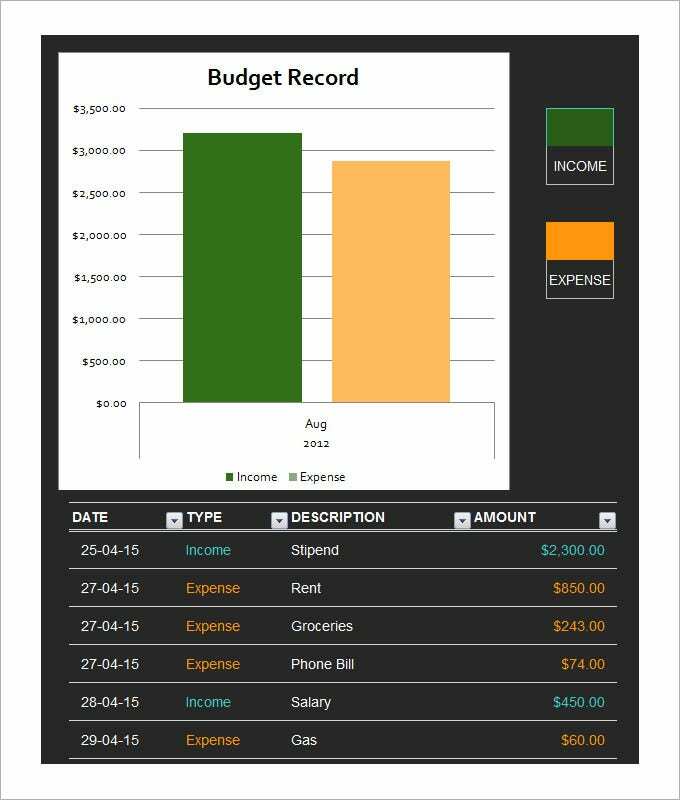 It also provides you data to compare your current month and previous month expenditures. 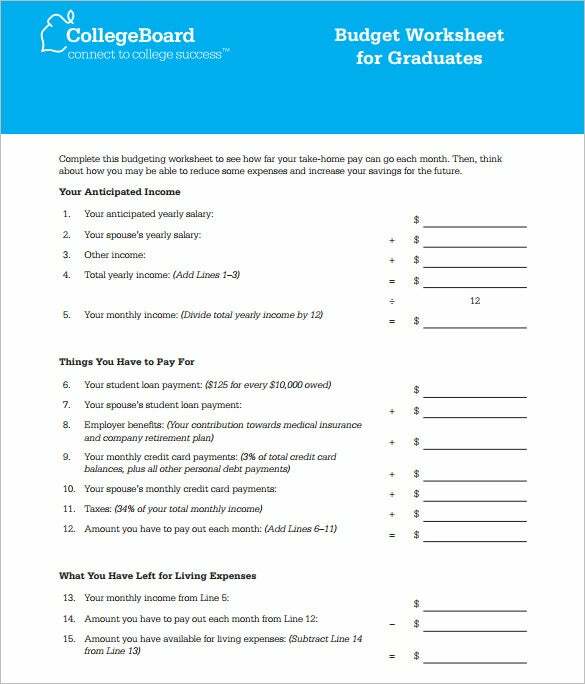 Creating your own college budget template is very easy. 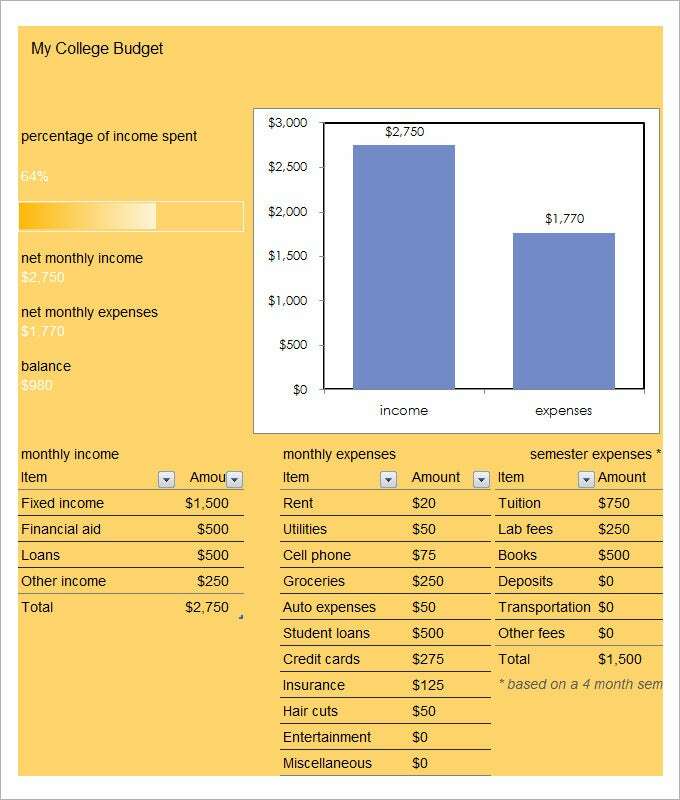 All you need to do is open a spreadsheet and write down the main sources of your income and expenditure. You can always alter it with your requirements. However, you can always find many formats available online. Make sure that before downloading any of them check out the template that suits to your requirement. These templates are available in many formats like excel, pdf, word, etc. 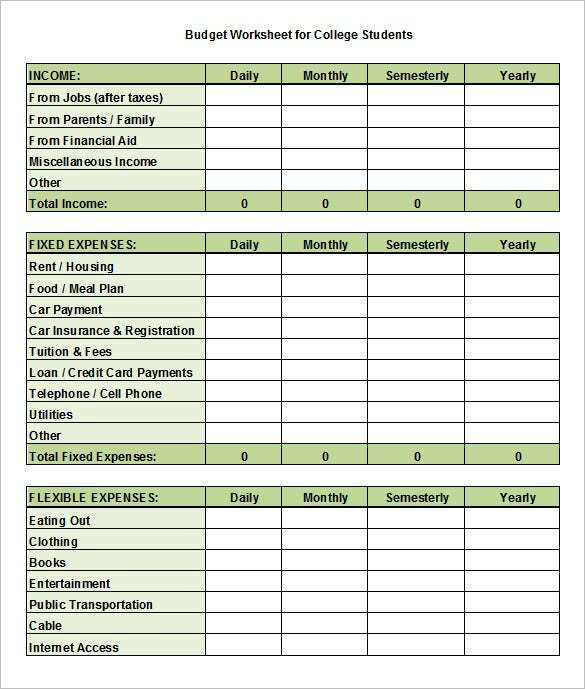 You can also see Monthly Budget Spreadsheet Template. 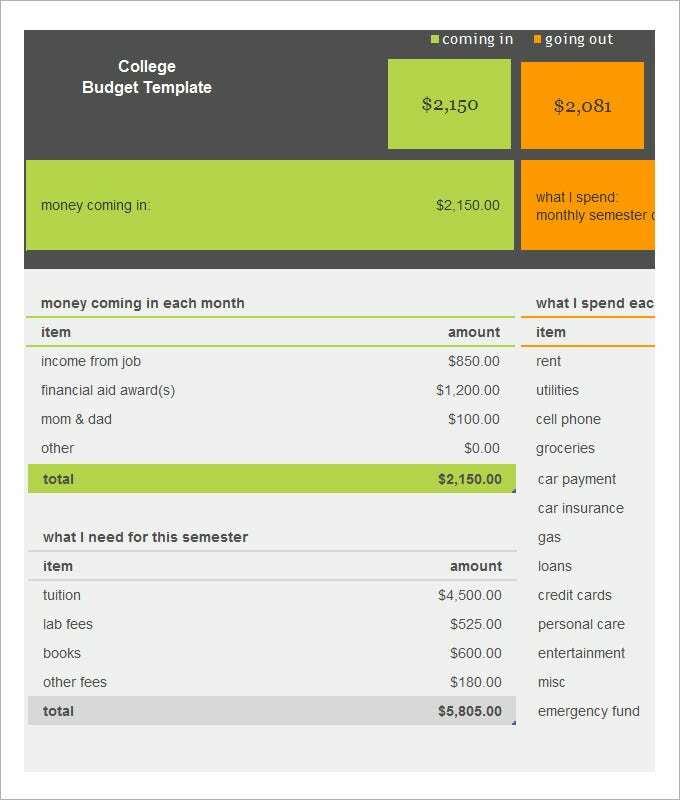 A College Budget Template serves a student with many aids. 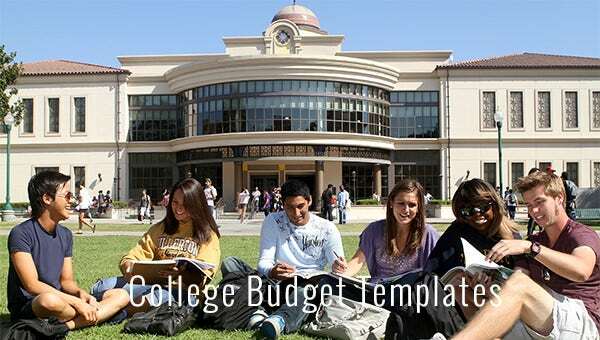 We offer the students a range of different types of College Budget templates. All these templates are easily downloadable and printable. These templates can be altered as per your requirements. We also offer customization services to our customers. If you have any specific requirements we will be happy to serve you anytime. With our high quality of templates, we ensure you that your purpose will be sought with a high success rate. If you have any DMCA issues on this post, please contact us!